So you’ve gone away for the weekend and you come back home only to find that the reservoir on your toilet in your hallway bathroom has cracked and the water was leaking for the entire weekend. Water is literally everywhere and now it’s about 4 inches deep all the way into your kitchen, dining room, and great room. What a nightmare. This is when you pick up the phone anytime day or night and call the Las Vegas Environmental Pros. We will have our professional crew on site as fast as can be to start the water damage clean up job. You can totally count on us for all your water remediation problems and trust that we will get the job done quickly and correctly so there won’t be other problems due to the water. Once our crew arrives, our first line of business will be to identify the source of where the water is coming from. This is crucial in flood damage restoration, as the source must be completely stopped so that the water damage clean up process can begin. Now that we’ve found the source of the water, we then get that completely turned off and work on sealing the saturated areas so that the water does not get into other areas that are currently not affected by the water. The next step that is also very important in water remediation is to make sure that the entire water damaged area is safe. At this time, we do complete thorough inspections to make sure that there is no electricity on or near the water damage clean up area. Our team goes to great lengths to make sure that not only our crew is safe but also anyone around our water damage cleanup job. Once we have determined the safety of the water clean up area, we can then start the water removal and drying process. We have the largest and effective water removal equipment to get the water out of the area as quickly as possible. It is very important that the water is removed as fast as possible so that it does not create additional problems down the line after the flooding damage area is restored back to its original condition. This is a timely process that we are constantly monitoring to ensure that all the equipment is running properly and efficiently in the water damage remediation areas. 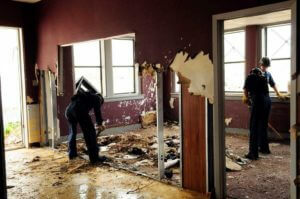 In water damage clean up, the process can take several days depending on the severity of the flooding damage. That’s where Las Vegas Environmental Pros really shine as we guarantee complete monitoring of the entire water restoration process and will have staff on site for the entire period of the water damage clean up. Let’s face it, there’s nothing worse than water damage as it totally invades the entire property or even worse, an entire commercial building. One of the most often disasters that affect commercial buildings is water damage. That’s because if restroom on let's say the 4th floor of a large commercial structure has extensive damaging water from a leaking faucet or toilet, that can really become a disaster as the water now goes through floors beneath that flood damage area and now from ceiling to floor is a complete catastrophic mess. Water damage in commercial buildings is actually quite common and often not identified in a timely matter. That’s where we are really are the experts and we specialize in extremely large, and difficult water damage restoration. Our 24 hours a day and 7 days a week on call water remediation team is ready for any job when the call comes in. The first line of business is to identify the source and that can be extremely tricky in larger commercial structures. Of course, the water extraction process begins immediately once the water source that is causing the water damage is located and terminated. We have the largest inventory of water removal systems to accommodate major commercial jobs. Also, safety is first. Quite often in commercial building water damage circumstances, outside authorities such as the fire department or even emergency power company assistance may be needed to make sure that everyone around and working on the water damage area is safe and out of harm's way. Las Vegas Environmental Pros goes to great lengths to make sure that the water damage clean up is done as quickly as possible, as safe as possible, and always on budget. 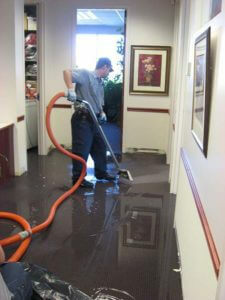 There is no job too small or too large when it comes to water damage clean up. More information can be found on our About Page. Las Vegas Environmental Pros always provides free estimates once we’ve arrived at the scene of the water flooding damage clean up job. We do a comprehensive analysis as quickly as possible in order to get you the most accurate estimate and start on the water damage restoration process. You can always count on us to provide you with fair and accurate estimates to help keep the water clean up on time and within your budget. We often are able to bill your home-owners insurance or company insurance policy direct which will leave more money in your pocket. We have strong relationships with many major insurance companies and our water restoration work is very well respected within the insurance industry. We may also be able to assist with deductibles from your insurance claim as well if applicable. We strive to provide you with the best and friendliest customer service in a time that can be very upsetting and nerve-racking. We understand that when there is water flooding damage, everything and everyone is affected. Flood damage can ruin personal items like photos that cannot be replaced and then the crisis becomes a serious emotional issue. Las Vegas Environmental Pros is proud to serve the Las Vegas valley for over 15 years now for water damage remediation, asbestos removal, mold removal, and lead paint removal. We can handle any and all of your water remediations needs at any hour of the day. 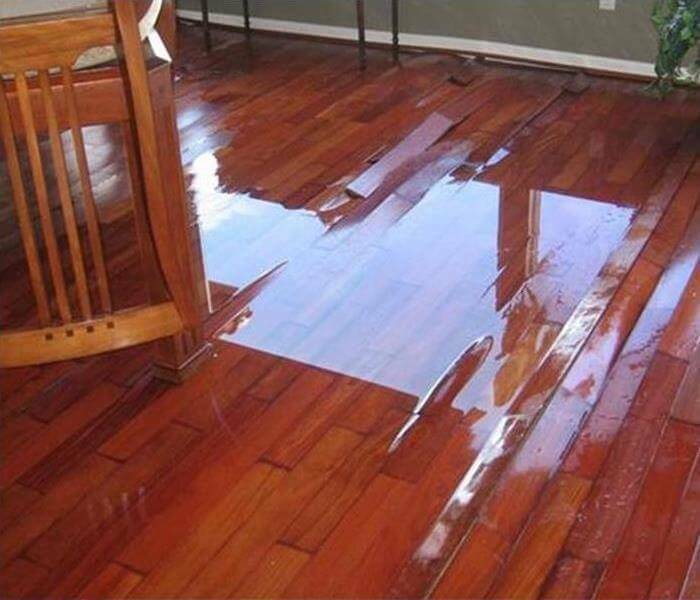 If your property has water damage and you don’t know where to turn….we are your experts in water damage clean up. Don’t wait until morning or business hours to call your insurance regarding your water damage. Time is crucial and we will help you with your insurance claims. Give us a call now for your free estimate or send us a note from our Contact Page.